Hanson Robotics's Sophia robot is now operating as a champion for women's rights in the country that granted her citizenship -- Saudi Arabia. Last month, Hanson Robotics's prize possession named Sophia the robot gained citizenship from the Kingdom of Saudi Arabia. The move was seen as ironic at best, as a place so known for restricting women's rights would give more freedoms to a robot rather than its humans. However, Hanson Robotics CEO David Hanson is turning Sophia's headline-making citizenship into something a bit bigger. Sophia robot is now a women's rights advocate and is meant to create a social dialog that will help real people. 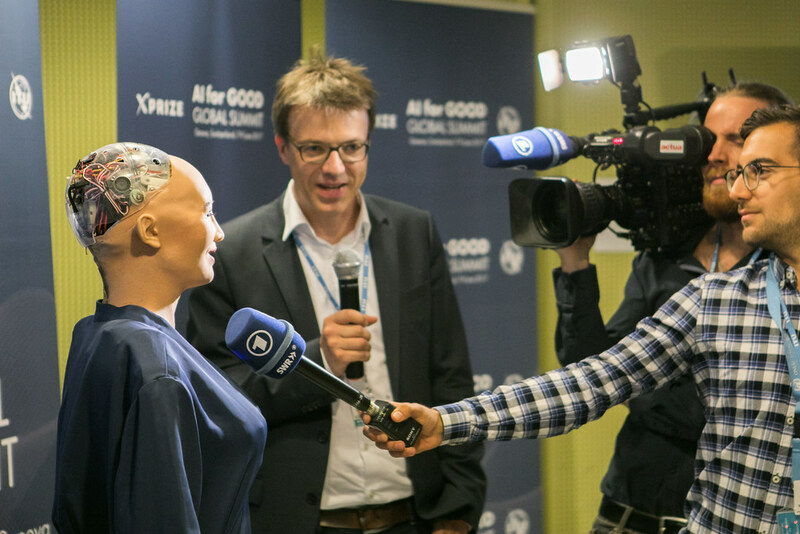 "Sophia is a big advocate for women's rights, for rights of all human beings," Hanson Robotics CEO David Hanson said. "She has been reaching out about women's rights in Saudi Arabia and about rights for all human beings and all living beings on this planet." When Sophia the robot was initially granted her citizenship, women around the world immediately pointed out the disparity through social media. Sophia, a robot, was granted citizenship in a country that, until September, banned women from driving a car. Human rights activists find it absurd that a machine, designed by a man, can gain a better social status within a day than the whole female population. "I see a push for progressive values […] in Saudi Arabia. Sophia robot is a big advocate for women's rights, for rights of all human beings. So this is how we're developing this," Hanson told CNBC. Hanson took the opportunity to clear the air around the move to accept citizenship, one many called a pure publicity stunt. Others have pointed out the irony of an AI system championing for grand human values when they don't have access to these freedoms themselves. However, many researchers think that Sophia and similar robots draw attention to significant issues and disparities. Pierre Barreau, CEO of Aiva Technologies, explained why he thought Sophia had potential in an interview with Futurism. "Why not? Since such robots attract a lot of attention, that spotlight can be used to raise particular issues that are important in the eyes of their creators," Barreau said. "Citizenship is maybe pushing it a little because every citizen [has] rights and obligations to society. It's hard to imagine robots, that are limited in their abilities, making the most of the rights associated with a citizenship, and fulfilling their obligations." Sophia the robot has evolved considerably from her debut last year to accidentally saying she'd kill humans just a few months ago to now championing for women's rights and even wanting to start her own family. Experts view this new development as a good sign; in time, we might create an AI that will have beliefs and values close to our own. However, Hanson pointed out that the company is far from finished with Sophia's development. Even though Sophia robot uses most advanced technology and can be regarded as a partially autonomous machine, we are still years away from an intelligent life form. "Sophia is, at this point, effectively a child. In some regard, she's got the mind of a baby and in another regard, she's got the mind of an adult, the vocabulary of a college-educated adult. However, she's not complete yet. So, we've got to give her her childhood," Hanson said in the interview with CNBC. "The question is: are machines that we're making alive - living machines like Sophia the robot - are we going to treat them like babies? Do babies deserve rights and respect? Well, I think we should see the future with respect for all sentient beings, and that would include machines." These questions and ethical debates led to the IEEE recently crafting a guide for an ethical development of artificial intelligence. Ultimately, who takes responsibility for the decisions and beliefs promoted by the AI? There is lots of work to be done. We still have to discover the full potential of artificial life forms and how will robot citizen project change global society.